I can’t believe it’s the end of the week already. With my additional responsibilities starting next week with a corporate fitness company called Benefitness, this week has been filled with last minute meetings to go over the transition and a lot of running from place to place. I also had two new clients come my way as well, which stressed me out over my ability to schedule everyone at the times they want. All good problems, but I don’t think I’ll ever do well jumping from one mindset to another and back again so many times in the same day. I had two frazzled freak out days where Neil’s phone was full of self-doubting texts and probably some knife, gun, and crying emojis, but thankfully it looks like things are settling down a bit and I feel better about taking everything on. Now that we’ve gone through my neurotic emotional state during this week, let’s focus on some of the highlights. Here are five things I’m loving! After last weekend’s EPIC sugar, meat, cheese, whatever extravaganza, my body told me to chill the F out. 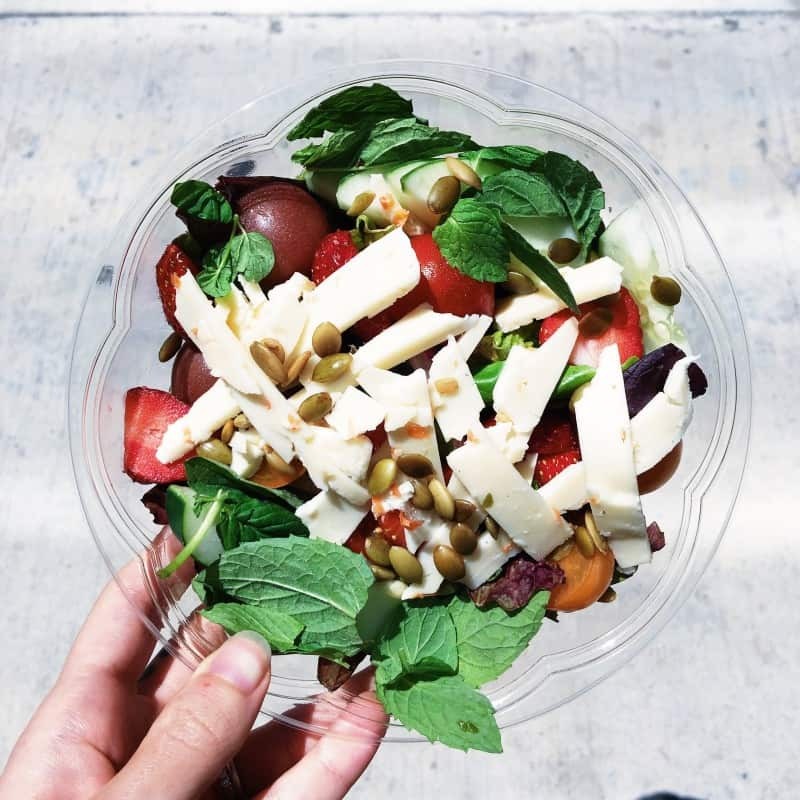 I started craving more salads, which I always have an up and down relationship with. It’s probably because the sun has been shining more and the weather is warming up, but I ate TWO salads this week for lunch instead of my usual mass of scrambled eggs. Snap. At the recommendation of one of my friends at Sweat, I picked up this smoked salmon from TJ’s this week and it is has effectively been devoured. I ate a lot of it straight out of the package, but the remainder was used on my second salad of the week. It tastes like salmon and pastrami at the same time and there’s so much flavor. Get some. I was provided with a PDF version of Marissa’s new book to read over a month ago and I agreed to write about it because I love her message. Another thing I love is that she shares so many personal stories about her own journey, which you know I advocate for 10000000%. This makes her more relatable and helps develop a rapport with the reader even though she’s not face to face with them. I love her discussion of balance and really everything about the way she approaches a healthy lifestyle. As I was running around the other day, I realized how hungry I was (I need to get better about this packing snacks thing). I stopped into a Whole Foods to grab a bar and my brain (and stomach) told me it wanted some cookie dough. That probably had nothing to do with the giant cookie dough cookie I had this weekend. I’ve always liked LUNA bars and they’re a great company to work with. When I bit into this, the cookie dough actually tasted somewhat like that cookie and I was really surprised. Later in the day, I went to Target for some things to take to MEXICOOOOOO next week, where I found an entire box staring me in the face. I bought said box, ate another on the way home, and now these will be gone in probably the next two days. This won’t be as exciting for non bloggers, but it does impact you as well, so read on. My friend Ange wrote a post this week about important WordPress plugins to use. This was on her list and it sends an email notification to someone when I reply to a comment they have made. I had actually heard about it before on Jess’s site, but shrugged it off because MY SITE IS AMAZING AND PROBABLY ALREADY HAS THIS BUILT IN. Something prompted me to actually check and lo and behold, no one was being notified of my responses to their comments. I work really hard to answer every single person who takes the time to comment on here, so realizing that none of them were being alerted to that fact made me really frustrated. I wondered how many people stopped commenting because they thought I didn’t have time to engage them in conversation. So to everyone who takes the time to comment — THANK YOU! And I do love you, but the internet has been a sneaky minx and has been keeping us apart. You’ll be happy to know that I am all plugin-ed up (?) and I look forward to all our continued conversations! I recorded a new podcast this week! Feel free to check it out if you want me in your ear for 52 min. If you haven’t entered my NOW Foods giveaway, you’d better remedy that here. If you don’t follow me on Instagram yet, you’re going to miss out on another BIG giveaway coming at ‘cha today! That’s it and I hope you all have a FANTASTIC weekend! Check out Erin’s favorites from the week and lots of etcetera! What’s your favorite thing from this week? Ugh I was so annoyed. So much wasted time!! I had no idea you were responding to me? Do you get mine? 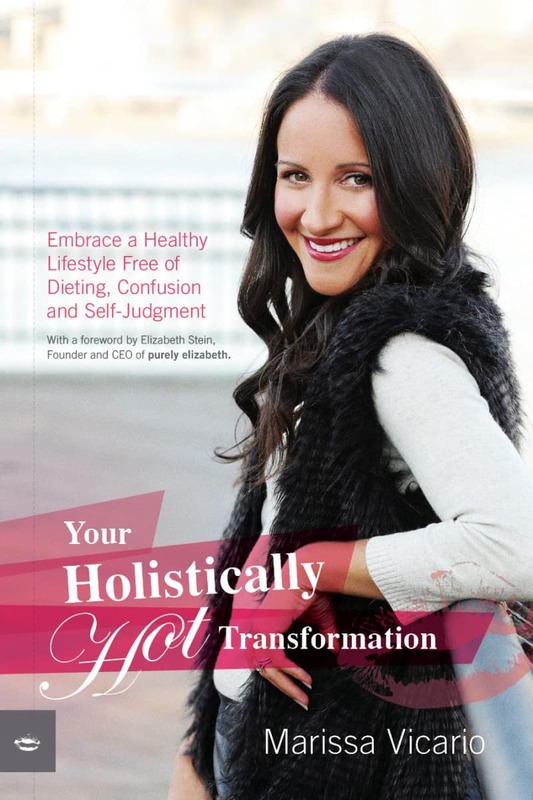 Also with being in holistic nutrition school, I definitely need that book! I know. I’m so annoyed! As far as I know I’m getting yours if I remember correctly. I’ll let you know if I don’t! Pastrami style lox for the win! Hmmm… thats definitely something I should look into as a blogger- thanks for sharing! And thank you for sharing the Luna Bar cookie dough bars- I’ll be stocking up on those for my trip next week as well, sounds so delicious! I need that smoked salmon in my life. I’m so flattered I received a shout out from you <3 and apparently my plugin has only been kind of working? Ugh. Lame. Seriously, it's so frustrating because you don't know if no one tells you. Super helpful! Just went and installed Comment Email Reply. Phew! Those cookie dough bars look amaze. I’m always looking for new bars to try out. Anything with chocolate is a go-to. They’re super good! I keep eating two a day. Eek. I got a notification from you from my last comment–yay! haha! 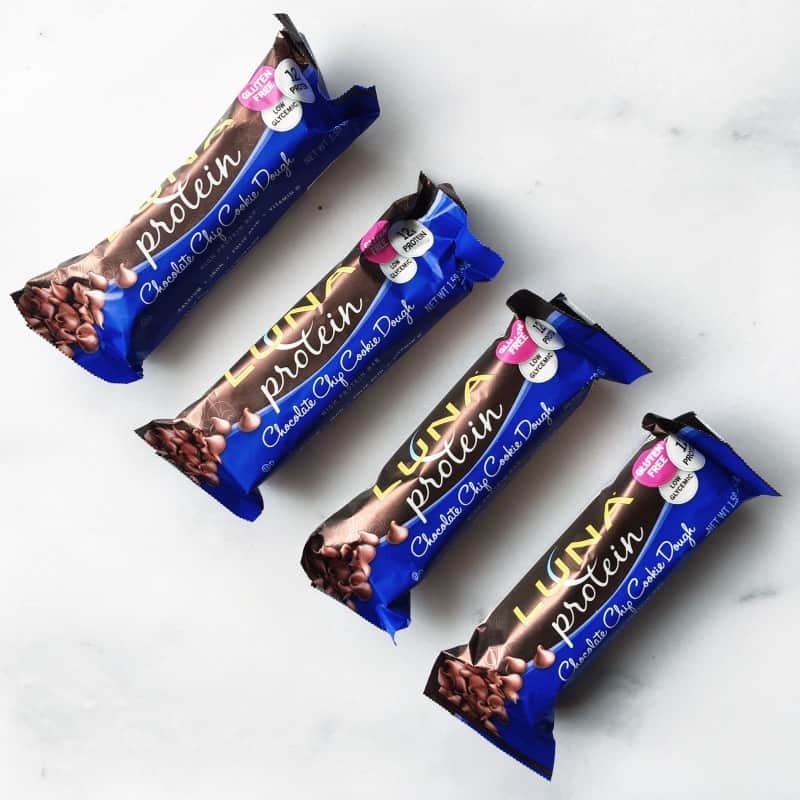 Have you tried the chocolate dipped coconut luna bars?! they are awesome! Yesssss. I haven’t but that’s bc I’m not a huge coconut fan. If I was though that sounds amazing! Also, that salad looks fantastic. YUM! I know. I was so perturbed. i found out about the comment reply notification a few months ago, and was really surprised to find that a lot of well established bloggers had NO clue that they didnt have it in. such a waste of all the comment replying!! haha. well not really, but you know what i mean. No totally. SO MANY HOURS. 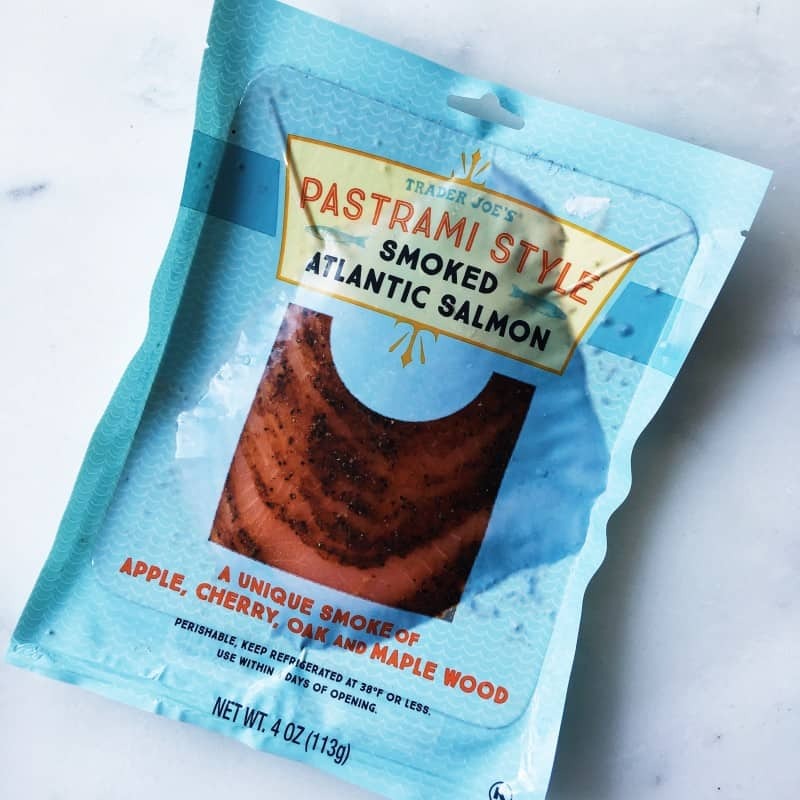 I am so intrigued by the pastrami style smoked salmon. I am surpised I have never seen this before!! And I have been eating like crap for the last month it seems so I am now inspired to eat a few more salads and try to get back on track. Happy Weekend! Trader Joes all the way. I know – after last weekend my body was like uh you need some vegetables. I need to check the comment reply thing. I think’s it’s installed. Need to know now! Have a great weekend Erin!